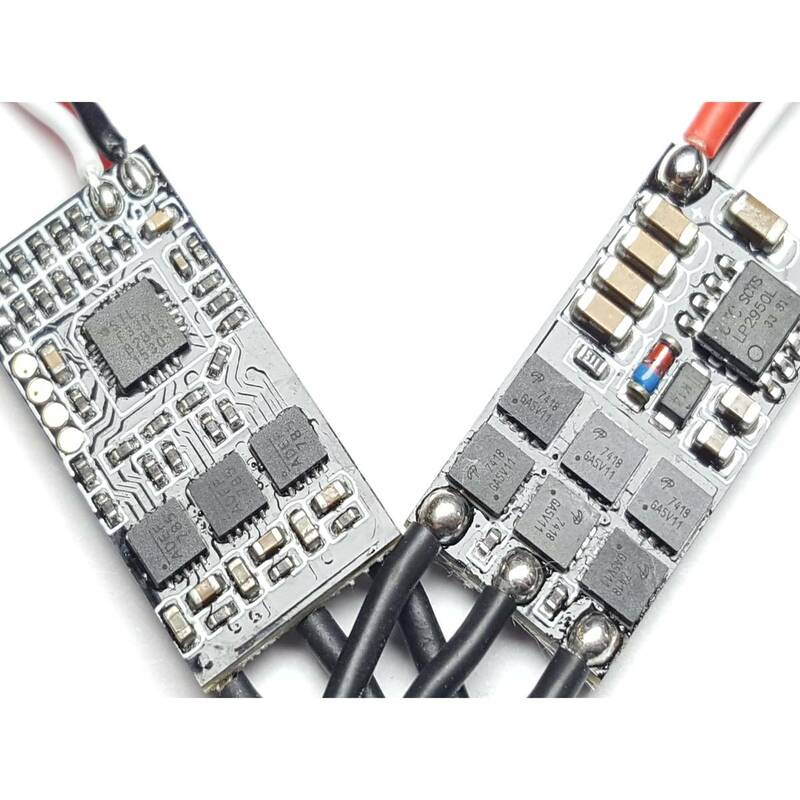 FVT LITTLEBEE 20A ESC Supporting 2-4S - these ESCs have been the closest performing ESCs to KISS, mosfet driven with fast, dedicated driver chips on quality PCB. This gives you excellent freewheeling and exceptional braking. The next generation in speed controllers! With Silabs processor and gate-drivers which makes the motor braking especially fast. 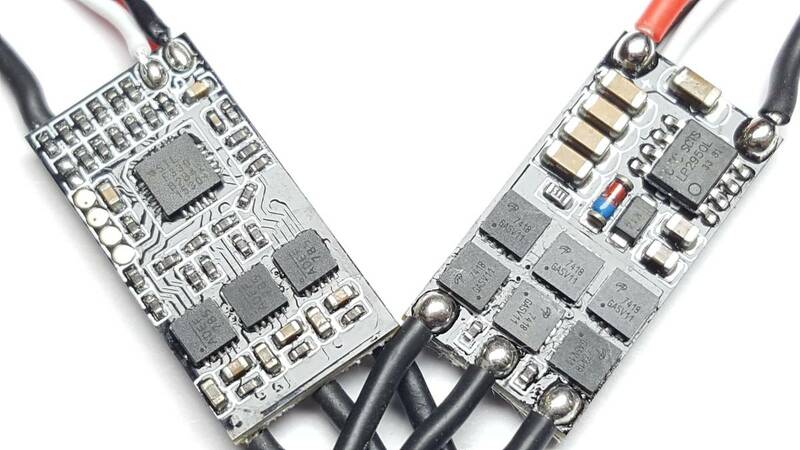 These are OPTO ESCs - this means that you will need your own 5 volt BEC to power your flight controller. Do not forget a RTF 1V-17V ADJUSTABLE VOLTAGE REGULATOR. Comes with bootloader enabled. Do not forget a ESC programmer. Full warranty for any defective product. Please contact us if you have any problem upon arrival! Fly with confidence! Enable Racing Mode! (Dampened Light Mode) - Enable racing mode! For True Plug and Play settings, more flying and less time on the bench. Racing mode is pre-programmed and optimized for best performance by quadcopter racers - ready for just about any motors - OneShot is included/Ready - we recommend not to alter our BL-Heli settings for racing quads. Race mode changes over 10 Settings for maximum performance: PWM Frequency/Damped, Motor Timing, Beacon strength/Delay,PPM MIN/MAX Throttle are set to maximum performance! Pair with a Flip32 for automatic detection of all the advantages of Oneshot123. Newest BL-Heli 14.6 Firmware ships out pre-programmed and tested. LittleBee is using Silabs processor and fast dedicated driver chips, providing excellent freewheeling and exceptional braking capabilities. We know that with mini quads, every gram counts. 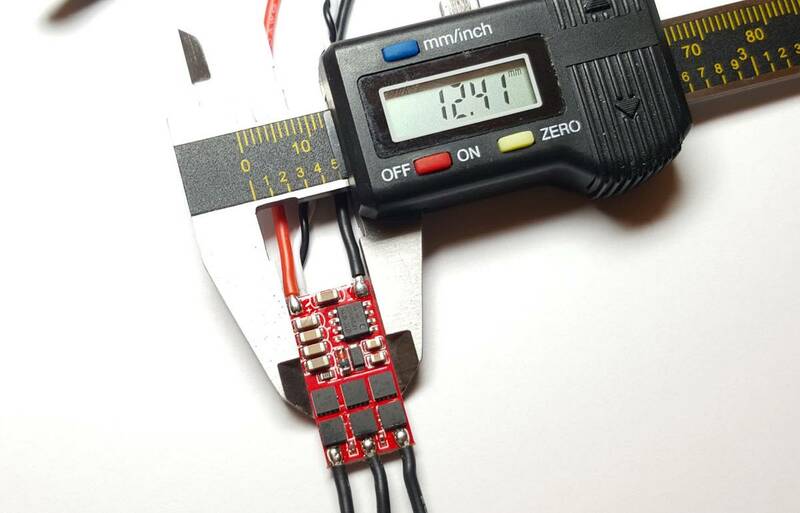 LittleBee is only 24.5x12.5mm, and weights only 4g, enabling your builds to be even smaller and lighter! To unleash it's full potential, LittleBee has been designed to run BLHELI firmware. Factory flashed with BLHELI 14, it's ready for action! 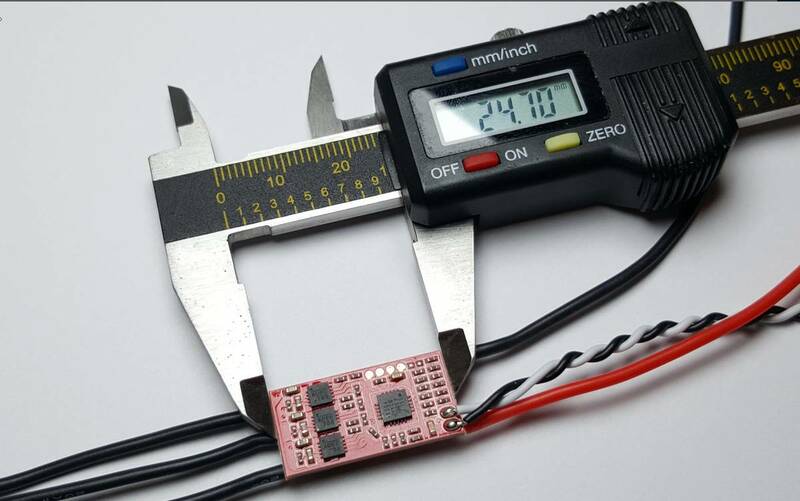 Oneshot125 is a different and faster communication protocol between the flight controller and the ESC on your quadcopter. It allows the FC to send control commands to the motor quicker, therefore in theory your multirotor should perform better. This feature allows your motors to respond to throttle decreases much quicker, allowing for more stable flying, and higher response to throttle decreases. Once connected, you will get access to a number of settings that control behavior of your ESC controller. Enable OneShot125, Damped light mode, reverse motor direction, all available on one easy to use screen. 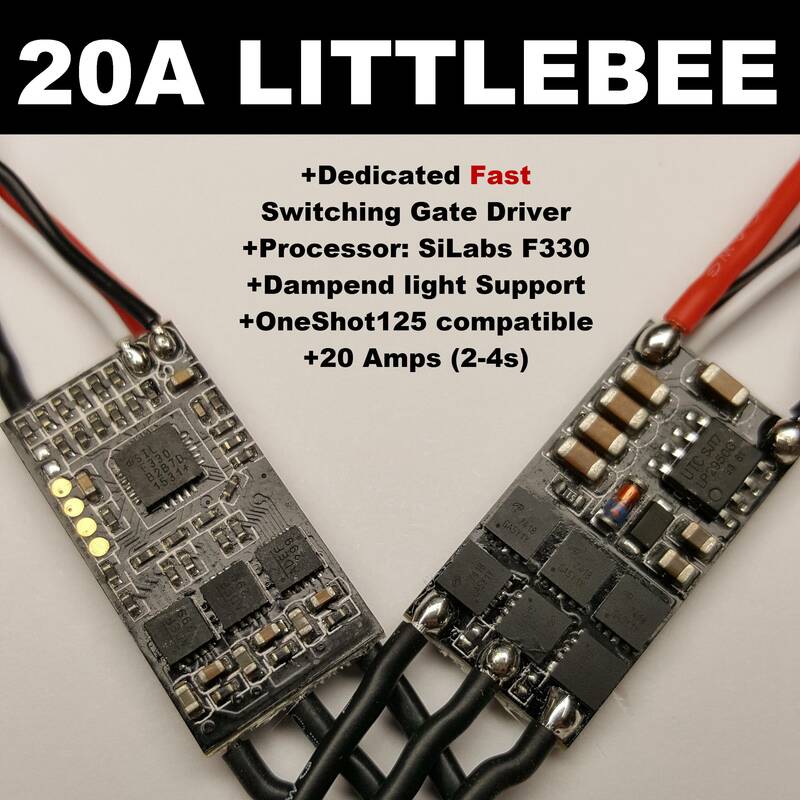 Capable of running 3s and 4s setups, LittleBee can work with up to 20A continuous load, and 30A peak (10s). Initial stress testing on 4S with a Cobra 2208/2000 with 6x4.5 prop, doing repetitive immediate accelerations from low rpm to full throttle went well. During the initial acceleration, this setup pulls about 100A, so it's a tough test for a small ESC (and can break other small ESCs).